Hong Kong-based crypto currency exchange HKCEx announced that some private funds from mainland and Hong Kong planned to purchase $25 million worth of Bitcoins in the exchange within next 6 months. The company noted that these funds are not intended to HKCEx, but targeted and designed for the purchase of crypto-currency. However, the news is complicated by complaints from users and the story developed toward a different direction. 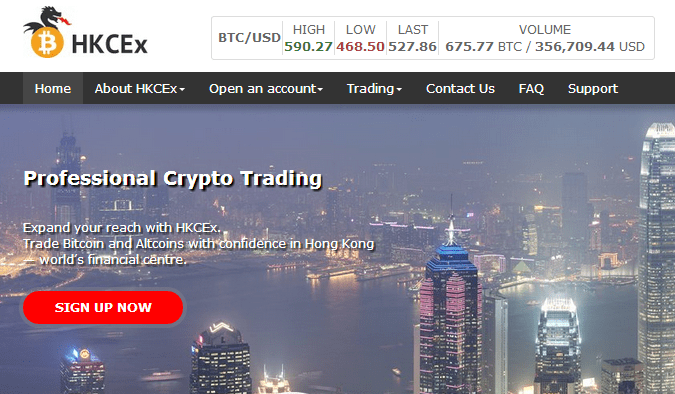 HKCEx is questioned by several users who complained that it is impossible for them to redeem funds, as well as several other security and transaction problems of the exchange. The enraged Bitcoin investors went so far to doubt that the news of receiving $25 million orders is an ill-intended maneuver to trick users to invest money in the platform. Moreover, the domain of HKCEx, hkcex.net, is now vacant. The exchange responded that the accounts of these readers are suspended for suspicious activities and it is instructing them to unlock the fund. But the problem is not solved as of press time. It is worth noting that the Bitcoin trading price in HKCEx is around $150 higher as compared with other exchanges and its trading volume stands at about 500 Bitcoins per day, according to an industry insider. When TechNode asked a representative from the exchange to comment on the matter, he answered “HKCEx rates are set by other market traders- individuals, HK banks and financial institutes, we don’t regulate the market”. HKCEx has previously received $2 million of seed funding and opened a network of 10 Bitcoin ATMs in 10 largest shopping and financial centers in Hong Kong earlier this year. HKCEx claimed that is among the first Bitcoin exchanges that received MSO license (Money Service Operators) from the Hong Kong Customs and Excise Department. HKCEx said in former press that it is in talks with insurance company AIA Group on the agreement of providing insurance to deposits of all traders and investors. Note: The post was based on press release from HKCEx, but Cryptocoinsnews.com doubt it’s scam and is doing investigation on it.